In the 1990s, the Czech Republic undertook a process of gradual transformation that resulted in the development of institutions of a liberal democratic state and economy based on market principles. An essential part of this process consisted in recreation of truly decentralized corporations of public law at two levels – the level of self-governed municipalities and later also the level of self-governed regions. Besides horizontal division of powers between legislature, executive, and judiciary – which is a must in a democratic state – this transformation provided also division of powers within a unitary state in a vertical sense. It also brought administration of public affairs and self-governance closer to citizens, in line with requirements of the governing principle of subsidiarity. 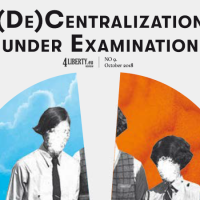 Decentralization must be distinguished from a mere deconcentration of power in state1. 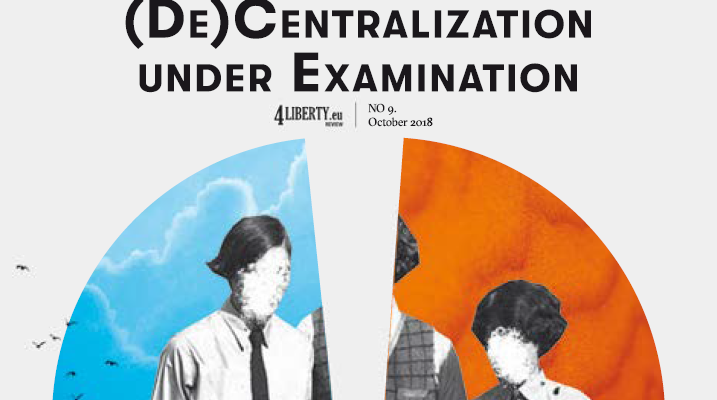 Decentralization provides space for self-governance at a lower level and closer to citizens than the level of the whole state. It allows people to vote for their deputies that decide over issues that concern an individual part of a country. The elected leadership manage the property of a smaller unit and most often provide for basic services to the inhabitants such as transportation, waste disposal, water distribution, and many others. Statutory provisions at the state level also delimit certain space for self-governed regulations in which a decentralized unit can specify the rules for situations of public interest – for instance, as regards maintenance of clean public areas or securing of public order in connection with sport or cultural events, and similar issues. However, self-governed units cannot lay down new duties for individuals unless they have a specific delegation in a statutory provision of the state to do so. The self-governed rights of municipalities and regions are guaranteed in a specific section of the Czech Constitution2. The state is allowed to intervene into self-governed issues only to protect the rule of law and only in a way that is stipulated in statutory provisions3. This could be seen also at the organizational level, where appointments of those who are responsible for decisions in the sphere of self-governance must be based on democratic elections (either direct or through directly elected deputies). Self-governed decisions may vary between individual units. The result is a variety of self-governed rules and styles of property management that can be applied throughout the country. This variety reflects the very liberal approach to which it is expected that people can decide on the issues that concern them, such as the organization and availability of municipal public services, and securing of public order in the best way without the necessity of centralized decisions. 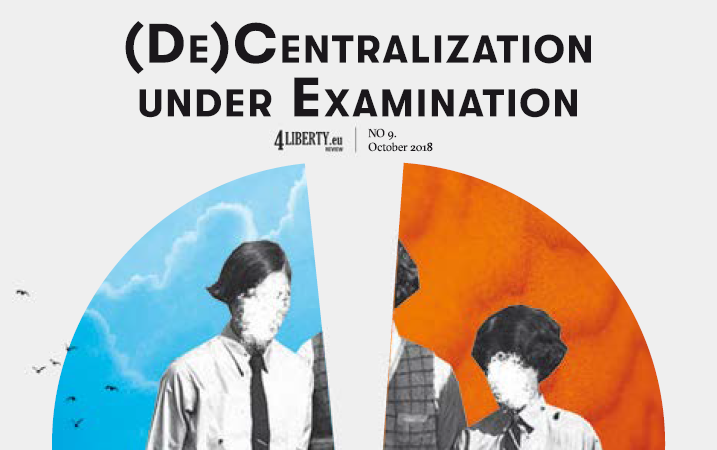 In contrast to decentralization, the concept of deconcentration represents only a way of internal organization of a state and division of responsibilities among its offices. The state need not operate only through its central offices (such as ministries with territorial authority over the whole country). 1See also Dušan, H. et al. (2003) Správní právo. Obecná část, 5th edition. Prague: C.H.Beck, p. 372. 2 Section seven (Article 99 to Article 105) of the Constitution of the Czech Republic, No. 1/1993 Coll., as amended. 3 Article 101 (4) of the Constitution of the Czech Republic. 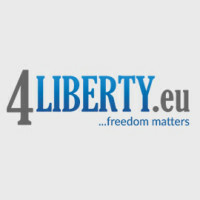 This entry was posted in Review #9 and tagged 4liberty.eu Review, decentralization, self-governance, the Czech Republic. Bookmark the permalink. A Research Fellow at Association for International Affairs (AMO) Research Center in the area of the Internal Market of the EU. 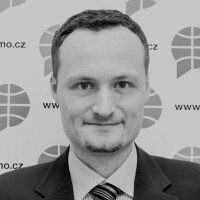 The AMO is a preeminent independent think-tank in the Czech Republic in the field of foreign policy.